Many bloggers recommend using desktop tools in order to get more work productivity. The main reason behind this is, they can easily go on with their work without even having an internet connection. Writing blog posts without having an internet access allows you to better concentrate on your work. Many people easily get distracted looking through various resources and then forgetting that what they’re really up to. If you’ve ever been in a similar condition then let me suggest you some amazing tools which can help you with these types of cases. These amazing software which I’ll be talking about allows you to continue your work even if you’re offline. I personally know that how does it feels when your internet connection is not working, but believe me once you cut off the internet access you’ll definitely see an increase in your work productivity. You will easily be able to produce more work with extreme intensity without having an internet connection. In this article, I have listed some of the best trending apps of all times for bloggers who prefer Mac for their work. All the apps which I’ll be discussing down are widely used by pro-bloggers and webmasters and you should surely consider them for increasing work productivity. 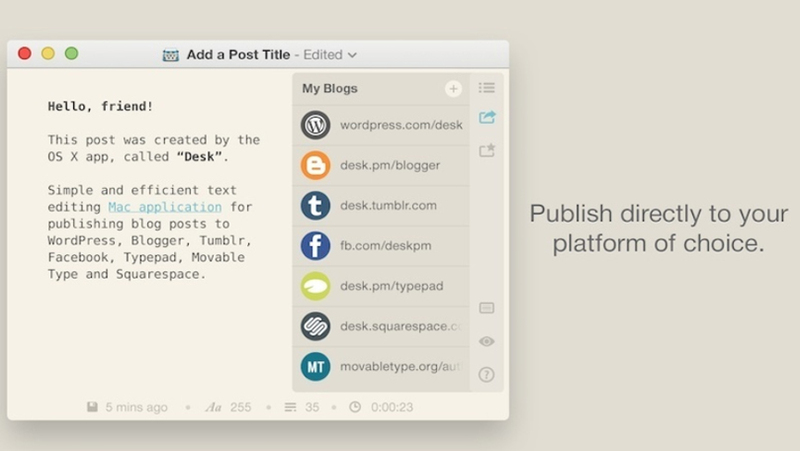 Desk is an App which is specially designed for all those writers who works on Mac OS. I have to mention is that all the features offered by this app are remarkable. Though there are lots of interesting features I personally love the one which allows you to save your document as a draft into the iCloud drive. From iCloud, you can directly access your document and edit them from your iPhone or iPad. You can easily get yourself integrated with all major blogging platforms like WordPress, Google Blogger, Typepad and plenty more. This is one of the best writing apps I want to highly recommend to all fellow bloggers who want a hike in their productivity. You can easily download this amazing app from the App store at only $19.99. 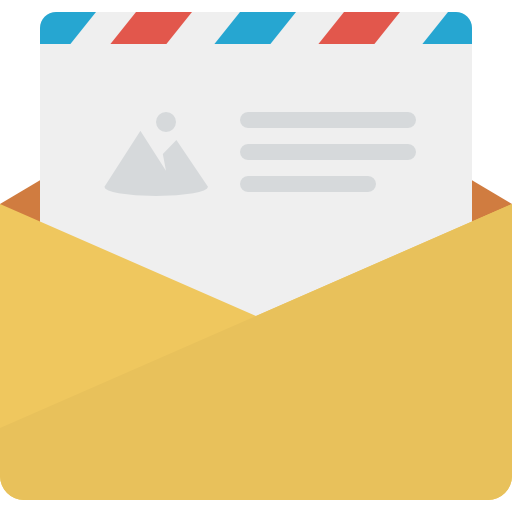 In case you are not satisfied with the services offered by Desk App for Mac then let me introduce you to another interesting app, Blogo. Blogo is one of the top-ranked alternatives to Desk App which you should definitely give a try. You can surely see an increase in your productivity using this app. Many bloggers and webmasters suggest Blogo for working on Blogger or WordPress platforms. Well, Currently Blogo is only available for WordPress, but the team is working on introducing this app to Blogger and Tumblr too. Blogo allows you to create interesting content offline and publish it later directly from your desktop. Blogo perfectly syncs all your work from your iPhone, iPad, and Mac and gives you a complete access no matter where you are. 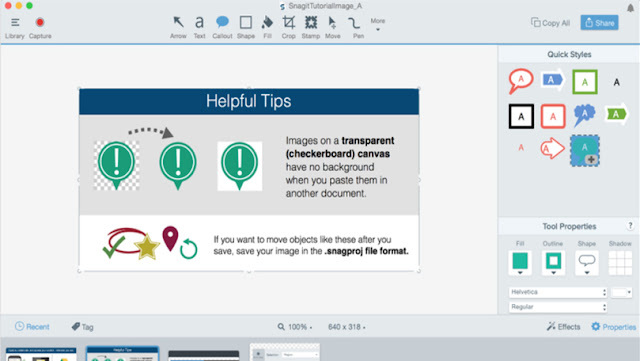 Not only that, but you can also insert cool images and preview your content before it goes live. You can easily download Blogo for iPhone and iPad absolutely free. If you are a blogger then you might have an idea that taking screenshots plays a vital role in our daily life. Taking screenshots and then editing them before inserting them into our blog content is what every one of us does. If you have the same working method then let me introduce you to another good tool which will make your work a lot easier. Snag it is an interesting image editing tool which has given an excellent performance to many bloggers out there. It is a Mac OS image editing app which will look after all your image editing stuff. Snag it is a premium tool offered to all bloggers and webmasters, but they do offer you a trial period of 30 days so that you can make a clear decision whether to buy it or not. Every blogger knows a fact that a good post is somewhere incomplete without inserting a good image. But putting images isn’t that simple. You have to resize and compress your images to make sure that it doesn’t take too long to load. By putting proper image size images you can ensure that your blog is fast enough for your visitors. I’ve seen many bloggers who fail to optimize their blog images which results bad for their blogs. Just imagine your blog post loads completely but images haven’t shown yet. Do you think that your visitors will be waiting for the images? No, right. In this era of internet and speed connectivity, a delay of a second can cause you serious harm. Therefore, here’s introducing ImageOptim. 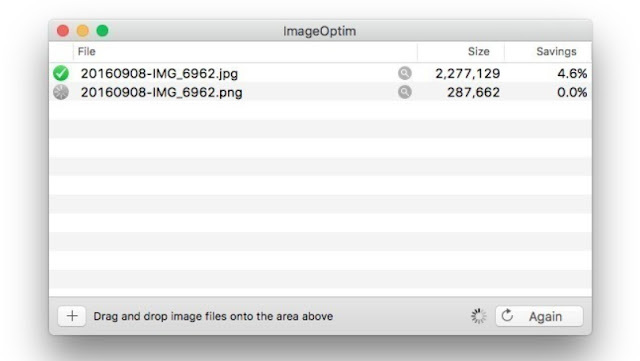 It is a free image compression tool available for all Mac users. This amazing light-weighted application can easily help you optimize your blog posts images by simple drag and drop. You might know that these days vlogs are the one contributing most to blogging, and by creating a vlog for your blog can help you get more traffic. For creating good videos, mainly those which are known as board tutorials videos, you’ll need some good gadgets or a good smartphone camera. But if you want to create screencast videos then you’ll just have to work on a good software. A good software that can easily allow you to capture your screen, edit it nicely and then directly allows you to publish it online, that’s all that you need. So, let me suggest you one such interesting software. 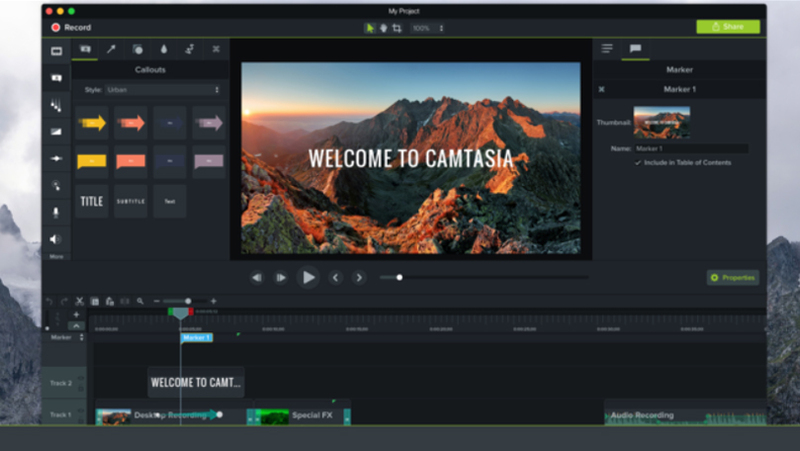 Camtasia, one of the widely used software by many fellow bloggers who are working on Mac OS. Every blogger and webmaster who want to increase their online sales should try working with this software. But let me tell you that it’s a premium tool but they do offer you a 30 days trial period. Camtasia is a must have software if you’re interested in video blogging. I know the fact that If the content is the king of your blog then SEO is the queen. 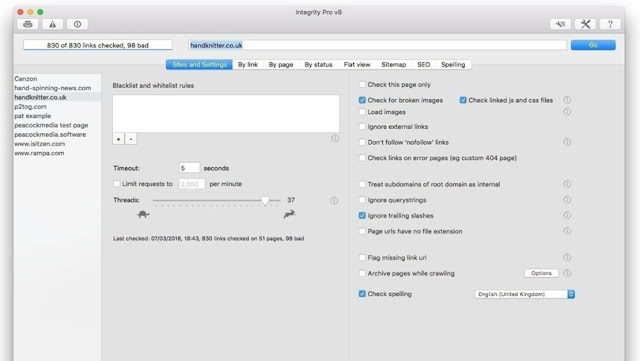 Integrity is an amazing Mac OS software which works like an SEO toolkit. It’ll easily help you scanning through all your blog links no matter which platform you’re working on. I know that if you are a WordPress user then you prefer broken link checker, but what if you're a huge site. In such cases, you might end up freezing your hosting and that can be a serious issue. It’s a free app available to all Mac users. 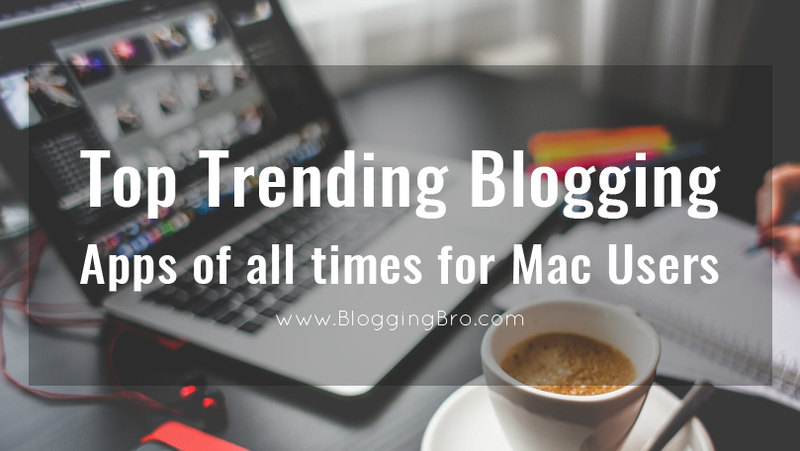 That's all with the best trending apps for bloggers who prefer working on Mac OS. All the above mentioned apps are widely used by pro bloggers and seo specialists.